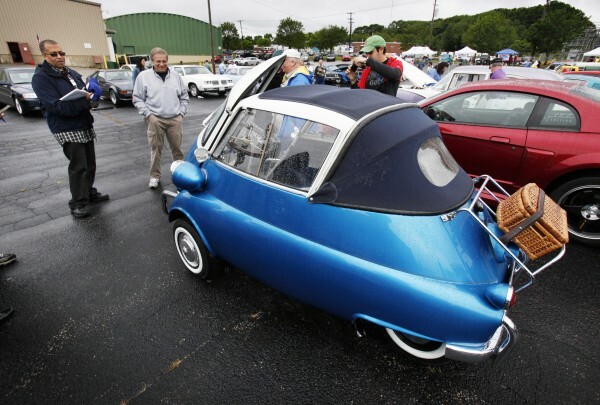 Portland police chief James Craig (far left) judges a 1958 BMW Isetta during the "Calling All Cars," car show Saturday, June 25, 2011, in Portland. Craig was inspired to establish the "Calling All Cars" car show as a way to reach out to people in Portland. Craig is a car aficionado who owns a 1970 Pontiac GTO and a 2007 Corvette Z06. Portland police chief James Craig (center) chats with visitors at the &quot;Calling All Cars,&quot; car show Saturday, June 25, 2011, in Portland. Craig was inspired to establish the &quot;Calling All Cars&quot; car show as a way to reach out to people in Portland. 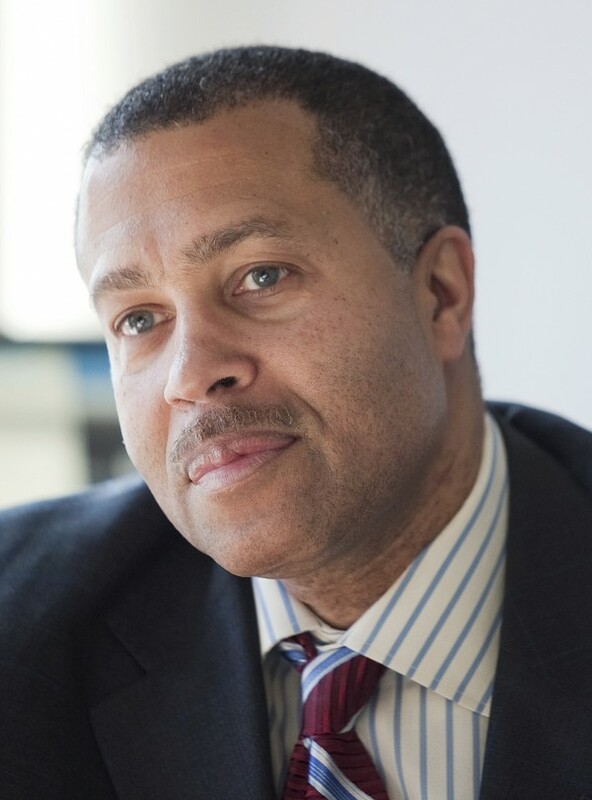 Portland Police Chief James Craig in December 2009. 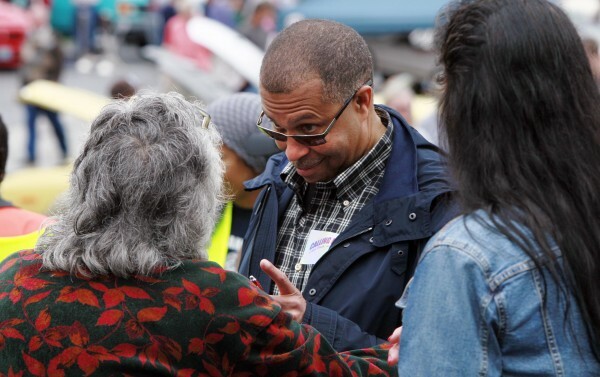 PORTLAND, Maine — Portland is no South Los Angeles, but that didn’t keep the police chief of Maine’s largest city from organizing a car show similar to one he put on when he was a captain in South L.A.
James Craig was inspired to establish the “Calling All Cars” car show as a way to reach out to young people in Portland. Cars provide a great opportunity to build bridges with teenagers, said Craig, a car aficionado who owns a 1970 Pontiac GTO and a 2007 Corvette Z06. Besides having dozens of vehicles — muscle cars, hot rods, vintage cars, motorcycles, trucks and more — on display, Saturday’s show at the Portland Motor Club featured tire-changing races, car-detailing demonstrations and an obstacle course where people drive a golf cart and text at the same time to demonstrate the dangers of driving and texting. Tactical police vehicles and a couple of old police patrol cars from the ’50s and ’60s were also on exhibit. The show is sponsored by the Portland Police Department, the Portland Motor Club and the Portland Press Herald. Proceeds go to benefit the police department’s youth activity programs. Craig held a car show when he was a commanding officer in South Los Angeles, parts of which are known for high crime, urban decay and gang activity. That show, the Five-O For Teens car show, drew more than 3,500 people its first year in 2006 and a second show was held the following year. It raised money for youth programs and strived to connect police with young people, he said. Kal Rogers, who is membership director at the Portland Motor Club, said he was impressed with Craig’s vision. “We want to celebrate the world of cars and provide a positive influence on youth through the world of cars,” he said.